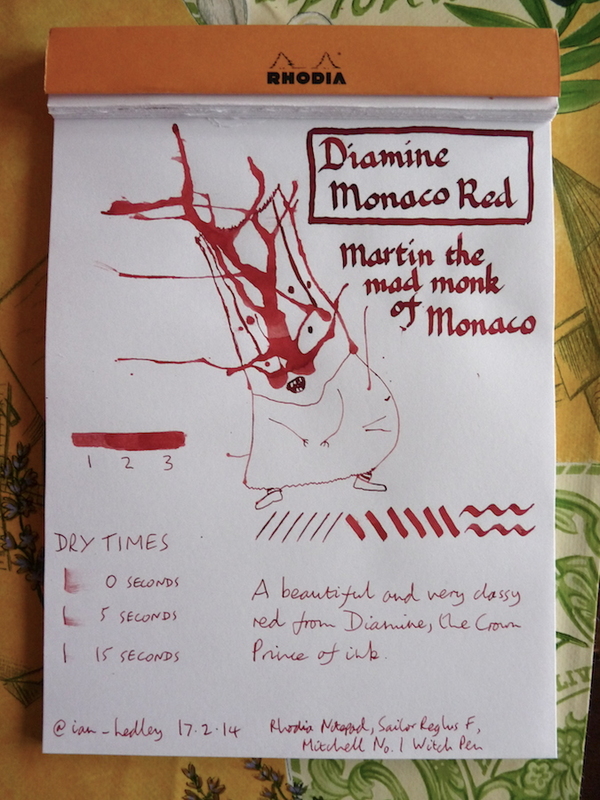 Diamine Monaco Red ink review – Pens! Paper! Pencils! My current favourite red. 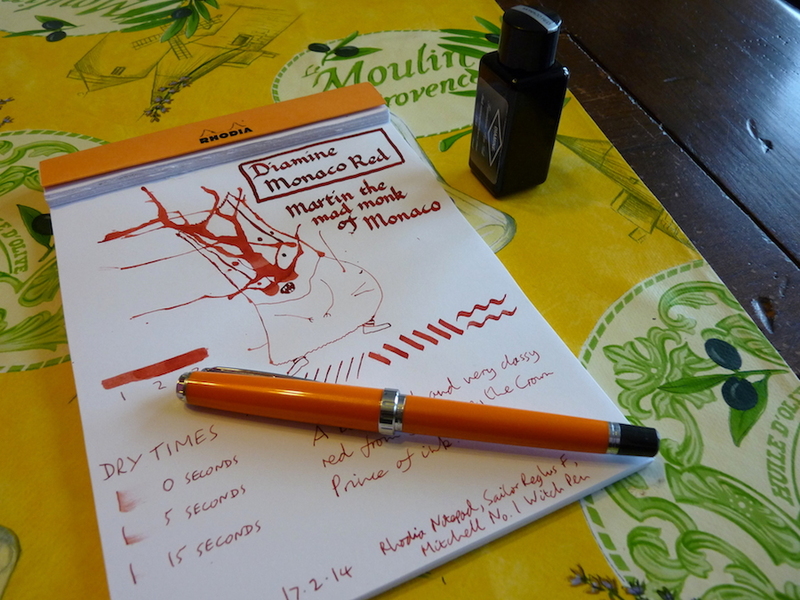 Stuart over at Informal Scribble sent me a sample and I liked it so much I had to buy some. It has quite a brown side to it, this one, as well as a touch of orange from certain angles, if you catch it unawares. It’s a Diamine ink so it behaves itself. There is some nice shading although not huge amounts. Dries quickly, too. What’s not to like? Would you like an Inkling sent to you every month for a whole year? Look here! There’s no video this time because I am an idiot. I did video the first Inkling I drew with this ink and then I went and spelled Monaco as Monano so I had to start over. Then I went and forgot to press record on my camera. Sorry! Previous Post:Inklings: Subscriptions and a Giveaway!